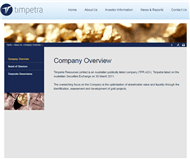 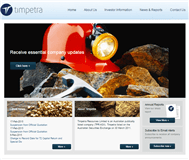 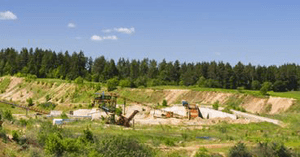 Timpetra Resources Limited is an Australian publically listed company (TPR:ASX). 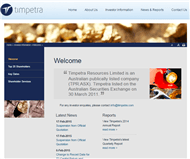 Timpetra listed on the Australian Securities Exchange on 30 March 2011. 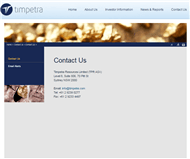 The overarching focus on the Company is the optimisation of shareholder value and liquidity through the identification, assessment and development of gold projects.